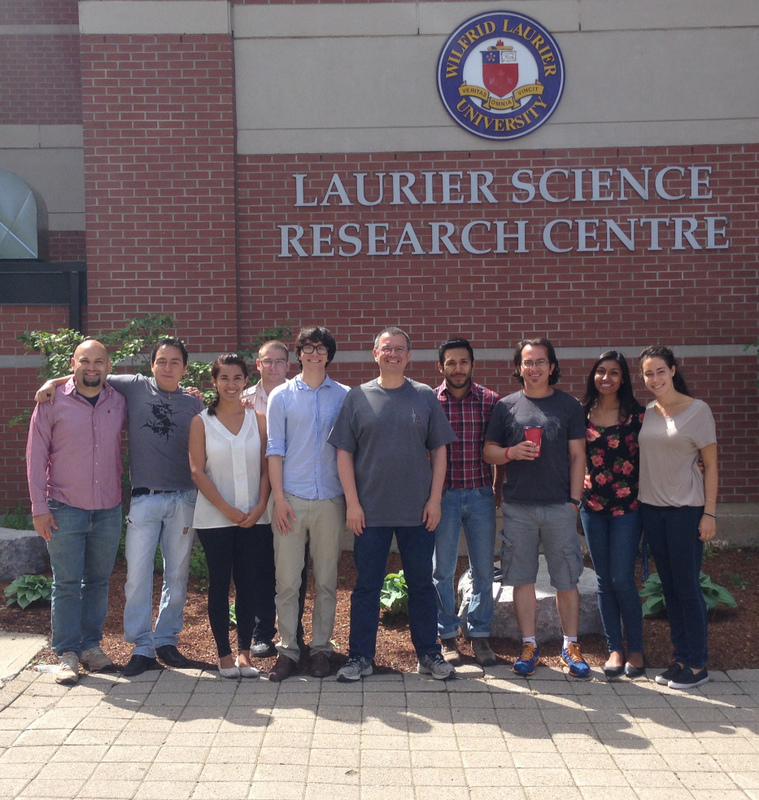 Here the whole group in the lab of Computational conSequences during the Spring/Summer of 2015. I’d say that this is the best group ever. Gustavo leaves today, going back to Michoacán, Mexico after spending his sabbatical here. Julie left a few weeks ago, also back to Michoacán. She might come back for the Spring/Summer 2016. The only locals are Brigitte, Kissa, Thomas, César and me. Brigitte and Kissa being honorary members who have been in the lab for collaborative reasons, but work for their M.Sc. degrees with other faculty members at Laurier (Michael Suits and Geoff Horsman, respectively). We’ve been working on phages, plant-growth promoting bacteria, 16S rRNA gene analyses, metabolic annotations, gene neighborhoods, predicting gene functions, and predicting metabolism and transcriptional regulation networks. Lots of fun.